Congratulations to David Ellis on winning the Keyhaven Easter Regatta! 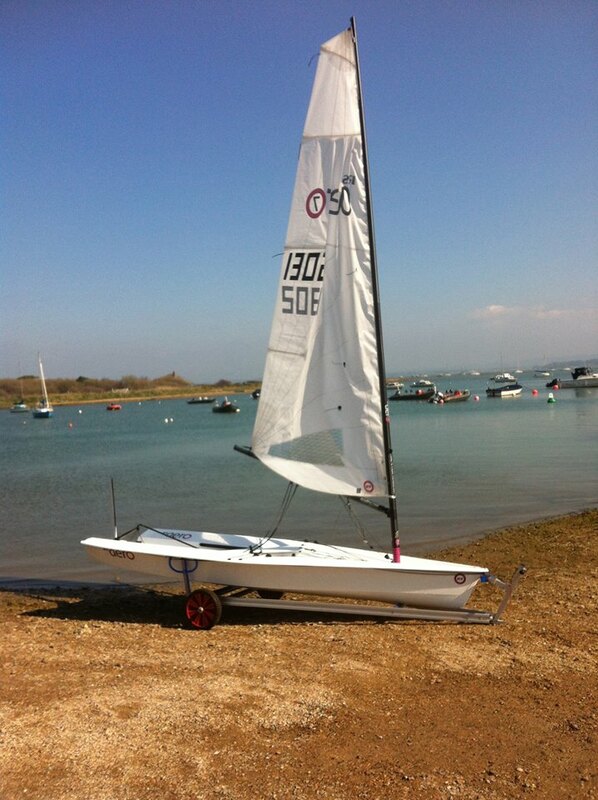 Two RS Aeros, David Ellis and Karl Thorne, ventured westwards to Keyhaven for their Easter Regatta where they are both members in addition to Lymington. Keyhaven is a beautiful salt marsh harbour right at the western end of the Solent protected behind Hurst Spit with Hurst Castle at its tip. A fleet of 25 gathered for a relaxed one race per day series over the four day weekend with an extra Easter Egg race on Easter Monday. The fleet largely consisted of a good Finn turnout and a variety of Lasers so it would be interesting to see how the racing would unfold between the similar boats during the 4 days over a variety of wind strengths and angles. Both the RS Aeros were used their 7 rigs. “Only being 59kg and in a 7 rig I was very quick downwind as would be expected. I found it very responsive and it paid to work the boat and hunt the angles to keep it planing. On a run working it hard with big angles meant you got waves others didn't. Upwind was hard work when I was overpowered at over 15kn but it is far more rewarding to sail than a laser and the rig more adjustable. However, I am sure that if there had been a fit 70kg person there they would have thrashed me in over 15kn! “Most of the fleet initially started the wrong course which gave a couple a head start and hence the final results. Dave was blisteringly quick, managed to break the pack by the second mark and was launched. He was especially quick on a run by really attacking the boat – it would definitely be worth getting some video of him doing this, sitting still is no longer an option! On the Monday there was the extra Easter Egg race with 19 starters. David managed 3rd behind an RS Quba in 2nd with a Lymington River Scow sailed by Jon Harvey taking 1st. Jon takes delivery of his RS Aero later this month - if you cant beat them, sign them up!